Miller was the everyday shortstop before recently being moved into a utility role by manager Lloyd McClendon. 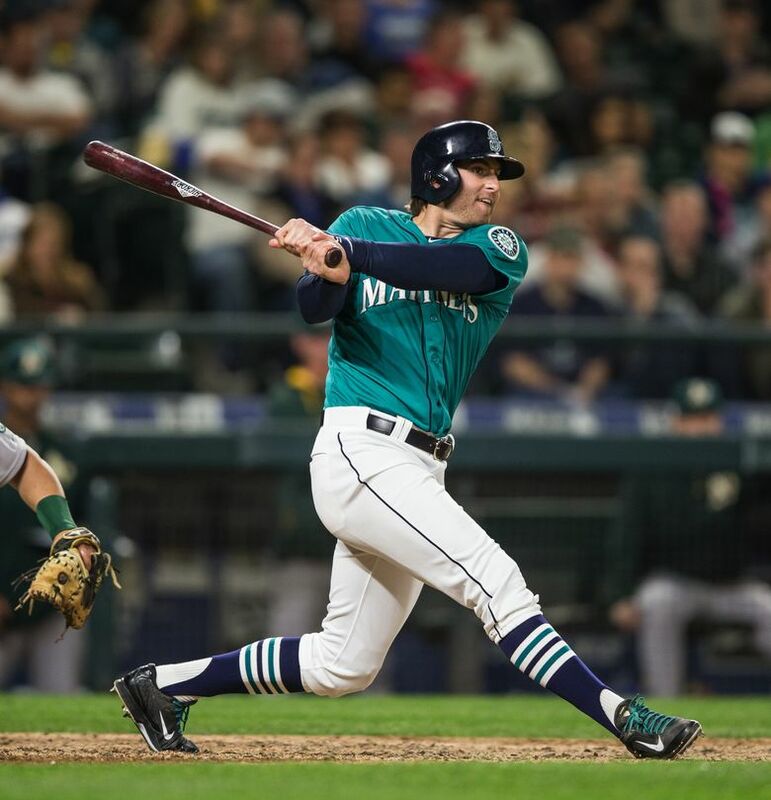 Brad Miller doesn’t see himself as a utility player. Don’t let those outfield drills fool you, or the fact that he slotted in as a designated hitter in the first two games of Seattle’s weekend sweep of the Oakland Athletics. “I see myself as a shortstop,” Miller said after the Mariners’ 4-3 victory Sunday, when he had in fact filled in as one thanks to Chris Taylor’s injury. Miller’s manager, however, sees things differently. As a DH, Miller went 1 for 4 with an RBI double Friday, then 0 for 4 with a pair of strikeouts Saturday. “You try to make it as normal as possible,” Miller said of the change in approach. “You have to focus on your at-bats, but in-between time, you’ve got a lot of time to cheer on your teammates. Miller began taking drills in the outfield toward the end of last season. Though he stayed in the infield dirt throughout spring training, he started taking fly balls again during Seattle’s most recent trip. That adjustment will pose a more significant challenge than the one at DH. The biggest thing, the manager added, is picking up those little idiosyncrasies that come with each position, those instincts more seasoned players take for granted. That includes adjusting your throwing motion to get more carry on the ball and getting used to playing the outfield fence. Miller isn’t the only Mariner who has made a similar position change. Under the tutelage of coach Andy Van Slyke, Dustin Ackley made the move from second base to outfield midway through the 2013 season. Rickie Weeks, an offseason free-agent signing, also is making the transition. Miller batted .221 in 123 games last year, a significant drop-off from his rookie season in 2013, when he hit .265. The 25-year-old also made 18 errors last season, more than any AL shortstop except Toronto’s Jose Reyes.